Jil Jung Juk is gearing up for this Friday (12th Feb) release and it is talked about for some unique features such as no heroine in the film, its outstanding musical album and the curiosity creating visuals in its trailer. 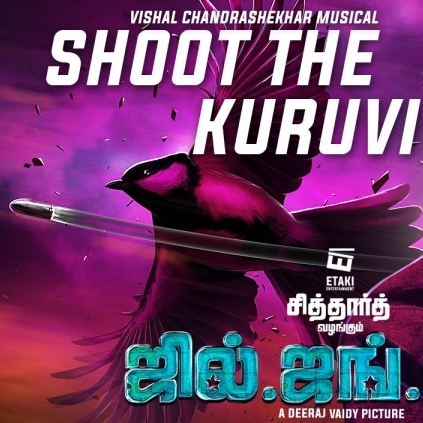 In extension to the uniqueness, music director Vishal Chandrshekar, in an exclusive interview to behindwoods, had stated that Jil Jung Juk had no songs in the initial script and that director Deeraj approached the composer only for the background music score. Later, he decided to have just one song, and then irresistibly added more tracks making it a complete album for Jil Jung Juk. It is also noteworthy to mention that celebrities such as Salman Khan, Jayam Ravi, Vishal, and Arya released the songs of the album online on various occasions. People looking for online information on Actor Siddharth, Jil Jung Juk, Vishal Chandrashekhar will find this news story useful.